The Reliance Group was founded by Dhirubhai H. Ambani (1932-2002), and is India's largest private sector enterprise, with businesses in the energy and materials value chain. The Group's annual revenues are in excess of US$ 66 billion. The flagship company, Reliance Industries Limited, is a Fortune Global 500 company and is the largest private sector company in India. Backward vertical integration has been the cornerstone of the evolution and growth of Reliance. Starting with textiles in the late seventies, Reliance pursued a strategy of backward vertical integration - in polyester, fibre intermediates, Petrochemicals, petroleum refining and oil and gas exploration and production - to be fully integrated along the materials and energy value chain. The Group's activities span exploration and production of oil and gas, petroleum refining and marketing, petrochemicals (polyester, fibre intermediates, plastics and chemicals), textiles, retail, infotel and special economic zones. 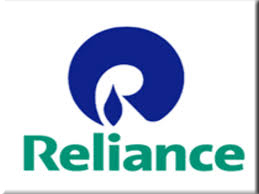 Reliance enjoys global leadership in its businesses, being the largest polyester yarn and fibre producer in the world and among the top five to ten producers in the world in major petrochemical produced. Major Group Companies are the Reliance Industries Limited, including its subsidiaries and Reliance Industrial Infrastructure Limited. Dhirubhai Ambani founded Reliance as a textile company and led its evolution as a very big global leader in the materials and energy value chain businesses. He is one to be credited to have brought about the equity cult in India in the late seventies and also is regarded as an icon for enterprise in India. He epitomized the spirit 'dare to dream and learn to excel'. The Reliance Group is also living testimony to his indomitable will, single-minded dedication and an unrelenting commitment to his goals. Growth through energy security - India has its imports and about two thirds of it is crude oil requirement. Exploration and production of oil and gas is critical for India's energy security and economic growth. Reliance's oil and gas exploration and production business is therefore inexorably linked with the national imperative. Exploration and production, the initial link in the energy and materials value chain, remains a major growth area and Reliance envisions evolving as a global energy major. Petroleum Refining and Marketing - Petroleum Refining and retailing is the second link in RIL's drive for growth and global leadership in the core energy and materials value chain. Growth through Consumer Products - Reliance's Manufacturing Division at Naroda, Ahmedabad is one of the largest and most modern textile complexes in the world. The Company's flagship brand VIMAL is one of the most trusted brands of premium textiles in the country. Main growth drivers for VIMAL are retail presence across India, innovation and focus on premium products and men's formal wear. Growth through value creation with a vision to generate inclusive growth and prosperity for farmers, vendor partners, small shopkeepers and consumers, Reliance Retail Limited (RRL), a subsidiary of RIL, was set up to lead Reliance Group's foray into organized retail. The Company expanded into textiles in 1975. Since its initial public offering in 1977, the Company has expanded rapidly and integrated backwards into other industry sectors, most notably the production of petrochemicals and the refining of crude oil. Independent verification and also mostly0020safeguarding integrity of the Company's financial reporting. Timely and balanced disclosure of all important material information concerning the Company to all stakeholders. Fair and equitable treatment of all its stakeholders which are including employees, customers, shareholders and investors.